I like any and all kinds of movies. I think that looking through my top 25 of 2011 posts you’ll see a rather good illustration of that. However, if asked I would cite horror as my favorite genre. Yet I recognize that even good horror is hard to find and the truly special ones are even more rare. They are more rare here than in any other genre. Therefore when looking through what I’d seen this year I started to think what do I consider horror and how many did I like. Maybe for the first time ever I saw and liked enough to make a list that I’d even have to debate what to add to it. Now a few of the films you might not consider horror films. That’s fine. Some films do straddle the line in a gray area. The fact remains there were quite a few creepy tales to choose from last year many of which may be new to you so enjoy. There’s not a lot of ground left to tread in the possession subgenre (or so we think) but I think The Rite managed to find something different to do with it and did well enough with it that it ended up not only being better than expected but pretty darn good in its own right (hah, accidental pun). 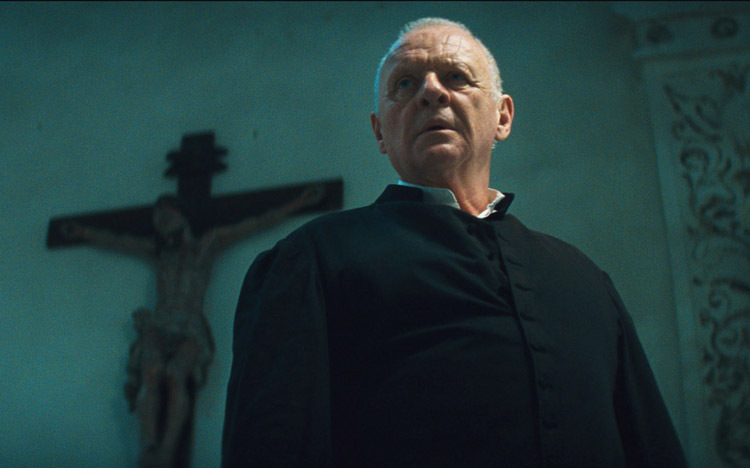 Of course, when you have Anthony Hopkins in the mix you’re going to be in a lot better shape than a lot of films but there is more to it than that. The film has really good cinematography and set design, it cuts well and uses flashbacks to great effect and most importantly it gets personal again. Since The Exorcist a lot of possession films have forgotten that a lot of what made that movie scary is that it was a pretty long movie wherein we got to know the characters so by the time the exorcism comes around the stakes are high for everyone and we care about every single beat in that sequence. This is by no means The Exorcist but it returns to the character-based approach and has some twists to it without getting ridiculous, in fact, they’re quite good. Here’s an example of sourcing your movies from as many different places as you can. Bloody Disgusting offered this film free online for 24-hours so I took advantage of it. Now while the engaging nature of the performers didn’t surprise me as I’ve gotten used to the fact that the level of Spanish horror is typically a bit higher there were a few more surprises in store in the film. When dealing with the found footage subgenre it gets a bit tiresome to have to sit through those staged shots where the camera was accidentally turned on or while the mike is being set-up or whatever phony event is being created to make us believe it’s real; there’s none of that here. There is also a creative bit of cutting around certain events and acknowledgment that much will be taped so that the fact that someone holding a camera is not a point of conflict which gets tiresome. Aside from the fact that things start in a very local lore place and get very real and very creepy. Aside from that it’s one of two films on this list that’s just a little bit over an hour long, no unnecessary filler. This is a Joe Dante film that I’ve only been able to see by looking up import editions on Amazon. It’s a great horror movie geared towards young people that can be enjoyed by all ages which is likely why its never found a niche in the US market. It features strong performances by its three young leads Chris Massoglia, Nathan Gamble and Haley Bennett. This film also won an award for its 3D work in Venice but, of course, I can’t see that on the DVD but what is apparent is great set building and a conscious effort to go for impressionistic rather than photo realistic effects which works very well in this film indeed. It’s worth looking for if you can find a region 0 disc, have a region-free player or have a computer to dedicate to foreign region DVDs. 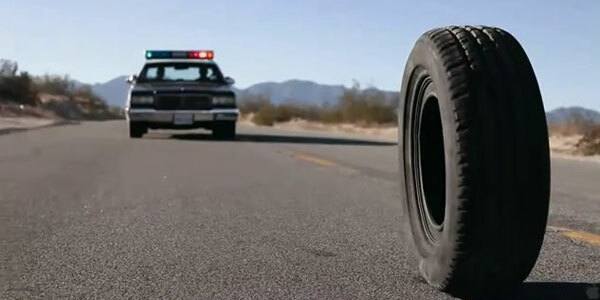 Why is Rubber on this list? No reason. In all seriousness though, it should land here just for creativity and audacity alone, however, what really sticks with you the further removed I’ve become from seeing this film is that it really did feel like an old school Stephen King short story at times. Combine that with the touches of absurdist theater and its dogged refusal to waste time dealing with the implicit implausibility of its plot make it a film you’ll remember regardless of what your final opinion of it is. Leave it to a director like Pedro Almodóvar to take one of the most terrifying concepts you can think of fracture the chronology and still manage to tell it beautifully without de-clawing it. It’s still haunting despite its artfulness and production value. He allows the concept to frighten without needing gore or other shock tactics and it’s still great. This is the most debatable “Is it horror?” title on this list. The reason I decided that it qualifies is a matter of perception. The entire film hinges on the sanity of its protagonist. If he is insane it’s terrifying to watch him go down the path and potentially drag his family with him. If he’s not the ramifications are perhaps even more staggering. Either way I ended up with a clenched jaw, glued to the screen and enraptured by the best performance by an actor I saw this year. It works either way for me and it scared me deeply so it counts. To put it quite simply the only thing I don’t care for about Rammbock is the the subtitle Berlin Undead, which it earned for its US video debut. However, I can get past that marketing foible because it may get people to watch it. The film is barely over and hour long but even at that length pacing matters and the inciting incident happens quickly and incident and information follow at a great clip thereafter. Not only does this virus (not zombie) movie have a similar trapped set up to Night of the Living Dead but there’s also cross-courtyard glances and chatting similar to Rear Window. Then you also have the relationship Michael-Gabi which drives the film followed by a budding teen romance that takes it home. The end is operatic and simultaneously heartbreaking and entrancing. The cast is all wonderful and those familiar with The White Ribbon will likely recognize Theo Trebs as Harper, the young lead. The difficulty in compiling any genre list is how does one define if a film pertains to a given genre. Depending how broad or narrow your definitions of the parameters of horror are certain films can be in or out. 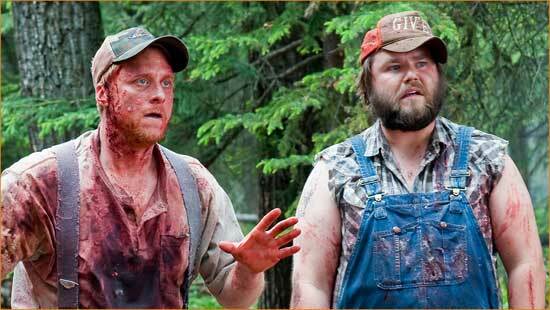 What separates Tucker & Dale vs. Evil is that it is always both horror and comedy and a smart one at that. It hinges on perceptions, misunderstanding and xenophobic mistrust. Typically a film that divides genres so evenly is in trouble of being too much of one or worse neither but this is a success. Not only that but you get outstanding performances from the cast who despite how goofy or aloof they need to seem can find nuance, depth and naturalness. One of the most fun watches of 2011 by far. 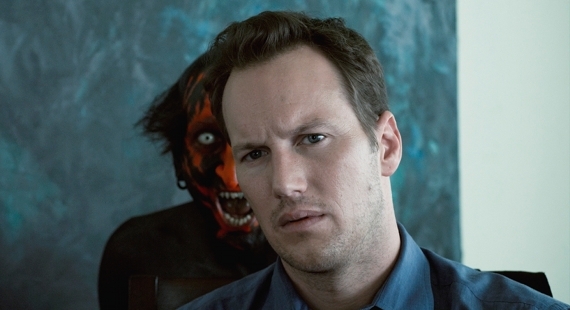 I talked up Insidious a lot upon its release and both it and the film just ahead of it are the best horror films to come about in around a decade. Perhaps what is most compelling about it is the fusion of haunted house and possession film. There are horror subgenres that are like twin cities (zombie/virus is another) and this is a great usage of that concept. What’s great is that Wan & Whannell brought old school tactics, citing things like The Haunting and Argento but putting a new spin on them. When you have filmmakers who craft even misdirections (like the gasmask seance) with such flair odds are the results will be special. Compound that with how much was accomplished with a small budget and little to no effects and its easy to see why this film is so admirable. Usually it’s not until after a seeing a film that you start to think grandiose and perhaps hyperbolic thoughts about a film. With Bereavement those thoughts started during my first viewing and they were re-affirmed upon a nearly complete second viewing (my friends weren’t in the mood for such a tale). 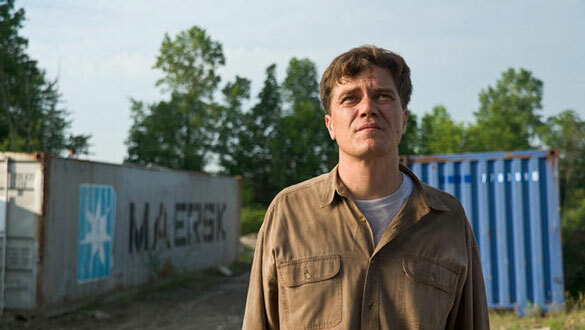 Perhaps what’s most unique about my experience with Bereavement is that I didn’t go into it knowing it was a prequel and that had no adverse affect on my viewing, as it should not. The score by writer/director Stevan Mena underscores the tension of the film and is potentially iconic given time and the same can be said for the dialogueless performance of Spencer List. Alexandra Daddario plays a horror heroine to utter perfection it might be possible to backtrack a decade or more to find a more charismatic, talented and likable genre lead in the ingenue mold. It’s the kind of film that really sneaks up on you. It implies greater atrocities than it shows and as time goes by I can only hope its fanbase will grow.